Stones can often seem cold and lifeless; far too many are used for throwing and harming. 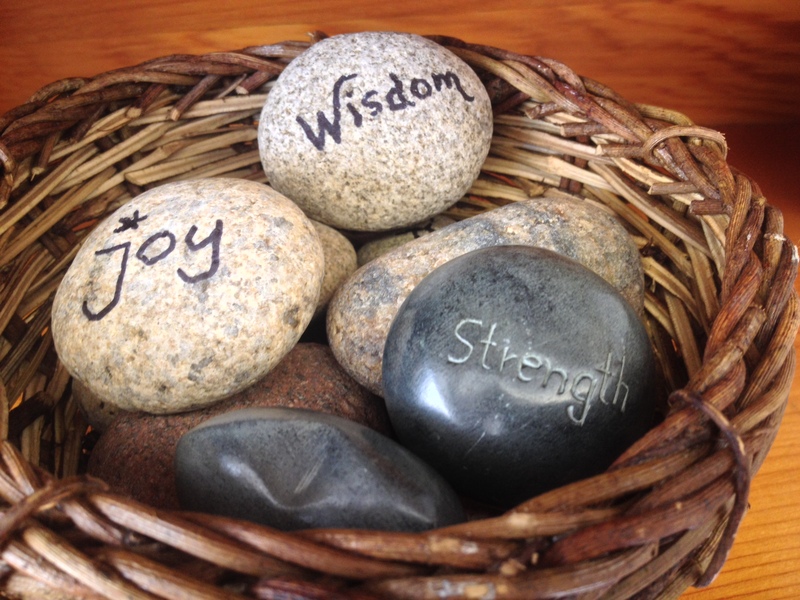 The Deacons at Bethel College Mennonite Church presented me with this gift: a basket full of joy, wisdom and strength stones. I like to think of Deacons as those who embody these gifts. Not perfectly, of course, but by the grace of God, they are pillars of sorts, sturdy like stones. When I become anxious, sad, irrational, angry, lazy, or lethargic, I will take one of these stones, massage it, and pray to the Good Lord for these same gifts of joy, strength and wisdom to shine through Rainbow and my ministry here.